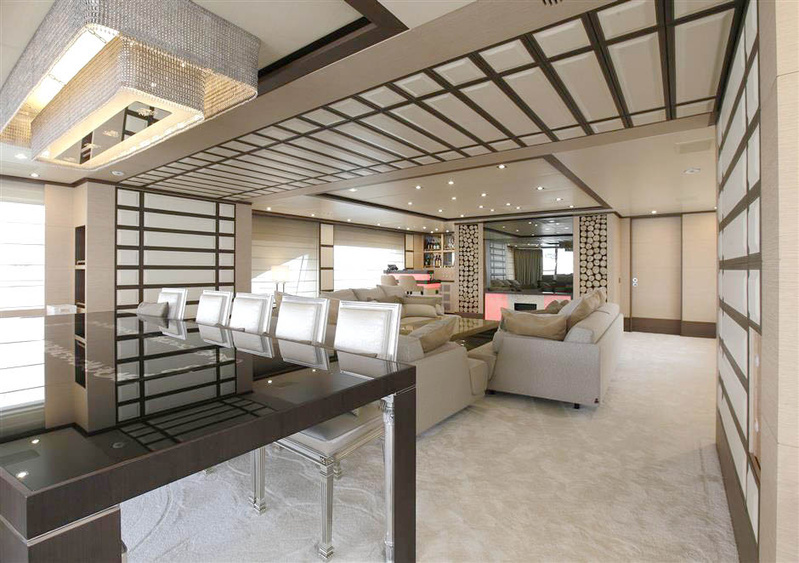 Now available for charter with Moran Yacht & Ship, the luxury of this 2014 builds turns heads at almost every location, with the crystalline waters of the Western Mediterranean just being one of them. 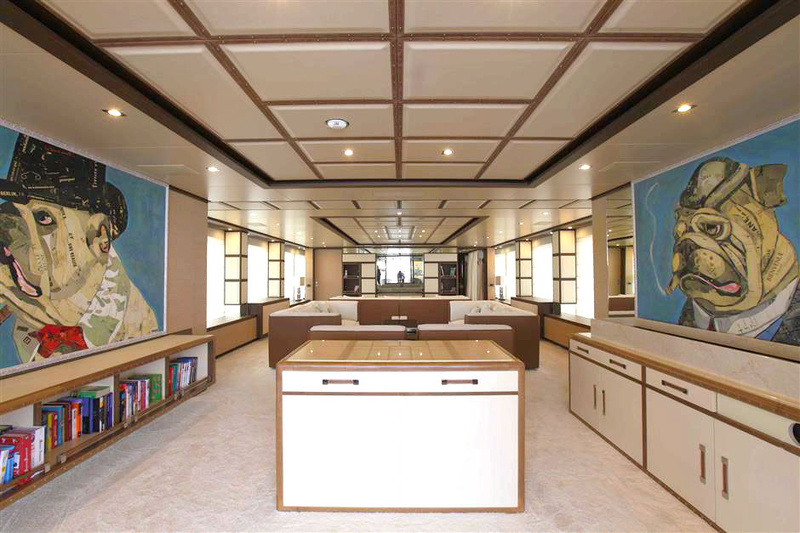 Part of the Crystal 140 range, from the lines of Stefano Righini, her exterior stylings stamp European credibility through balance, proportion and sophistication. 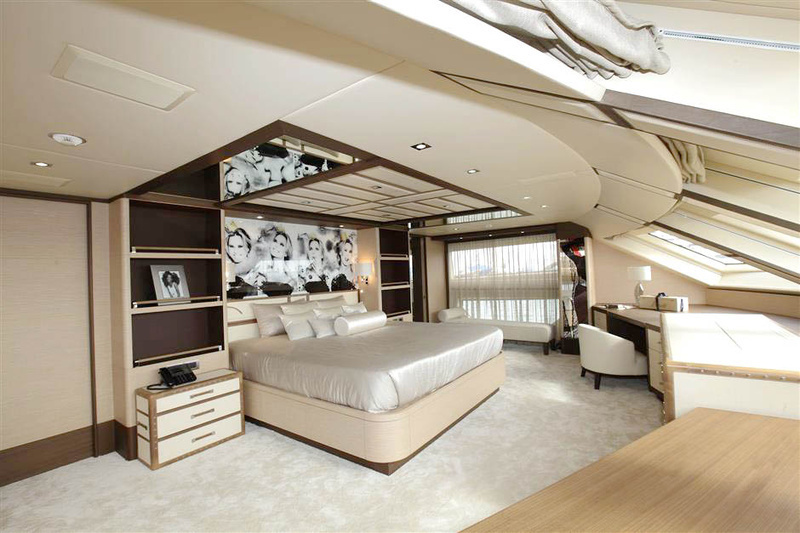 With a layout that invites up to 10 guests across 5 staterooms, her timeless stylings call for restful resides in sublimity. 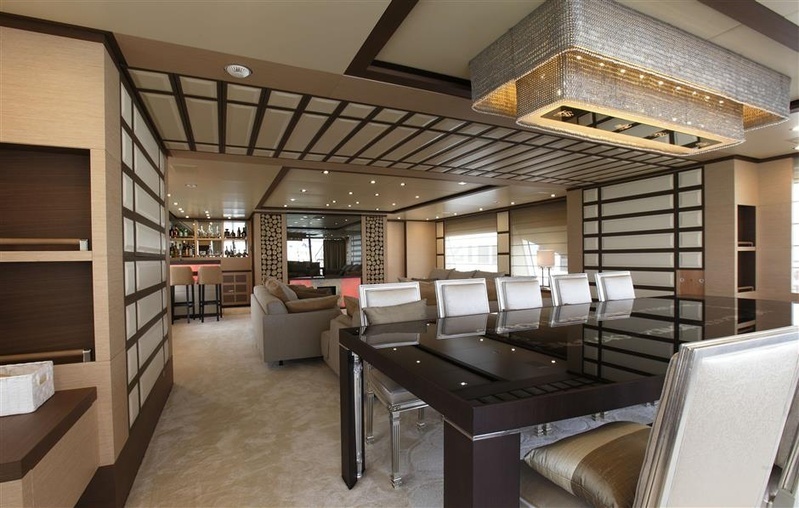 Caramel coloured leathers paired with sweeping white features fuse to create a soft and sultry colour palette, while mirrored corners and lashings of silver offer a dash of glamour with a true design signature by Zuretti also responsible for Benetti interiors such as M/Y Nomadess. 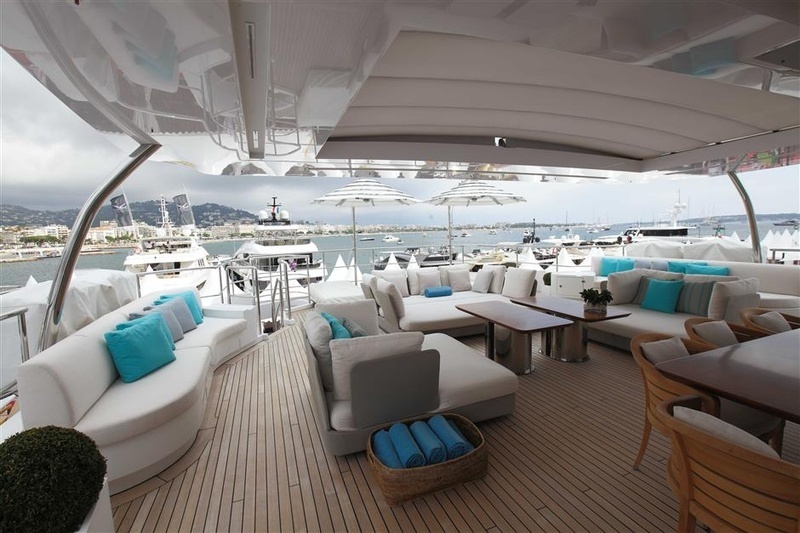 Splashes of colour burst across its interior space through art installations that dot the walls, while flashes of sea-blue cushions make their way across the deck. 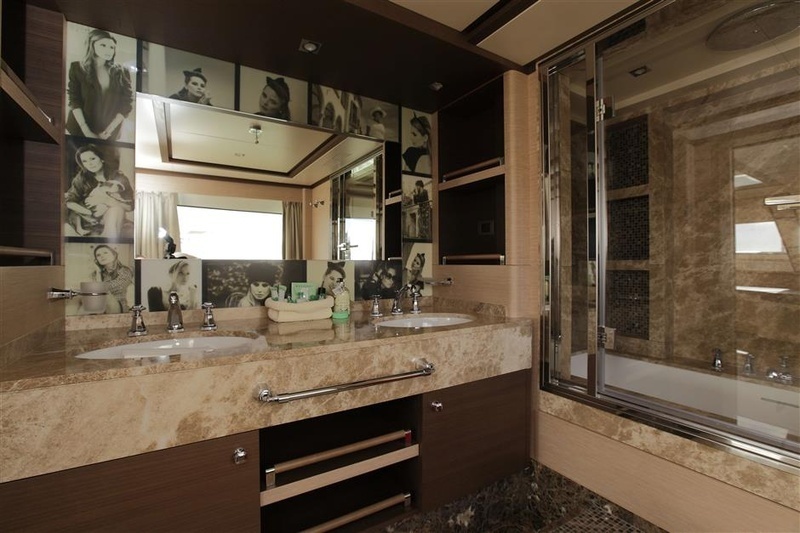 But the comfort doesn’t stop with aesthetics alone. 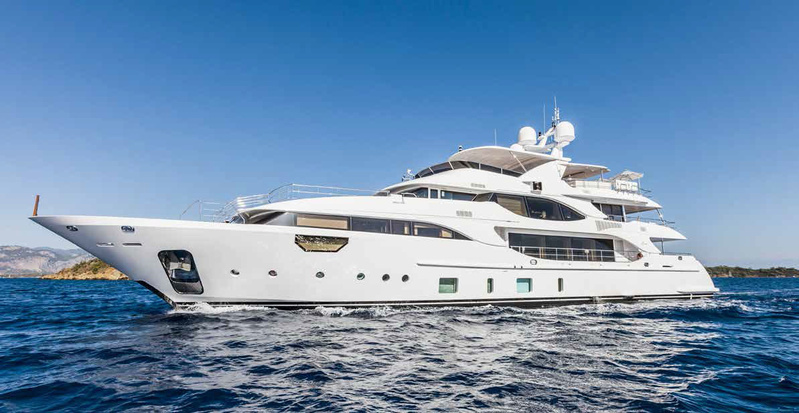 Beyond interior flairs, Benetti’s Soy Amor, built with a GRP hull and superstructure, features both underway and zero speed stabilisers enhancing onboard comfort both at anchor and while cruising. 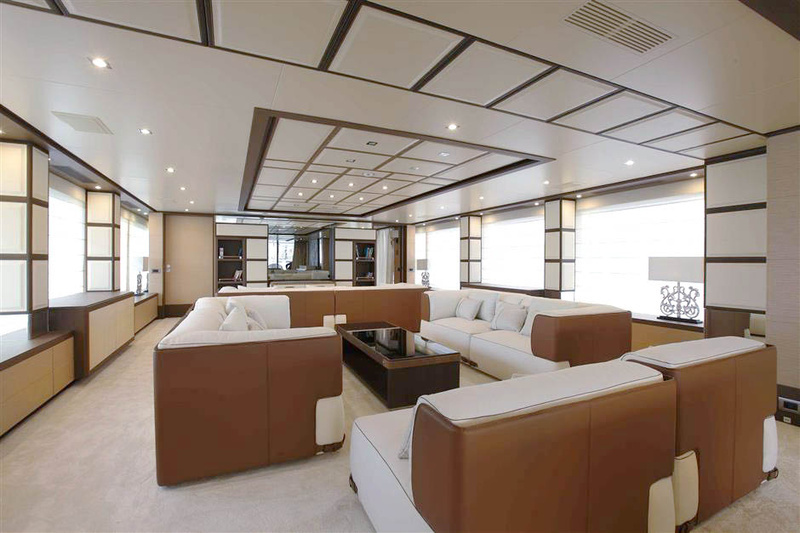 With a cruising speed of 11 knots and a maximum speed of 15 knots, she is the perfect combination of stability and performance. 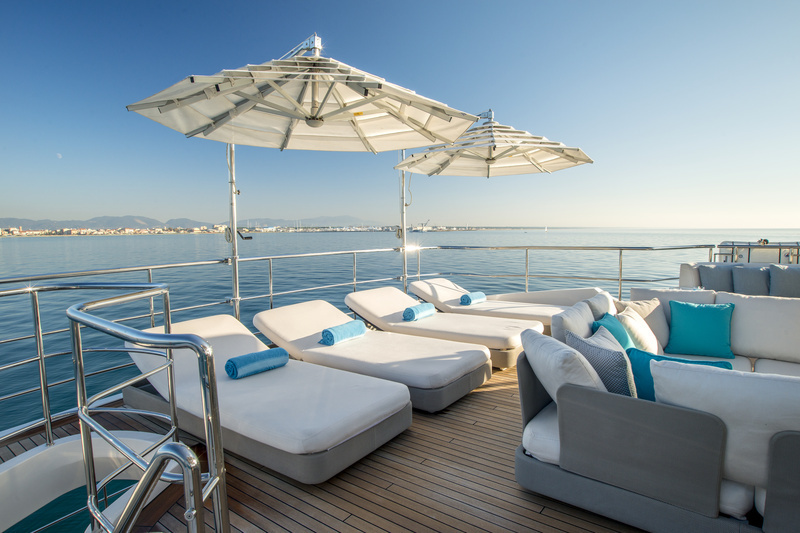 Still available for charters at events such as the Monaco Grand Prix, Soy Amor is unrivalled in her ability to encapsulate guests, whether it be for relaxation or events and celebration.